Canadian Passport: Since January 23, 2007, a new American law requires everyone entering the United States BY AIR to have a valid passport. Canadians can continue to use such documents as their birth certificates and drivers’ license to cross the Canada-U.S. border BY LAND AND SEA for at least another year. It's a good idea to have your Canadian passport ready even if you don't plan to travel soon. Just in case you have to travel to the USA, you will have to get in the long line ups to get your Canadian Passport. The Western Hemisphere Travel Initiative (WHTI) is a new American law that requires all travellers, including Canadians, to carry a valid passport, or a Nexus Air Card when traveling to the United States from within the western hemisphere. Passport and Visa Information - Provides detailed information on passport and visa for all the countries around the world. Yea, its good to have visa information for Canada. 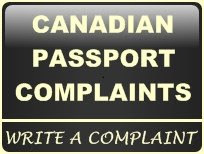 Will Passport Canadian offer visa info in future?